Zoom: How to share your screen. Zoom allows for screen sharing on desktop, tablet and mobile devices running Zoom. The host and attendee can screen share by clicking on the Share Screen icon. The host does not need to "pass the ball" or "make someone else a presenter" to share. The host can "lock screen share" so no attendee can screen share. 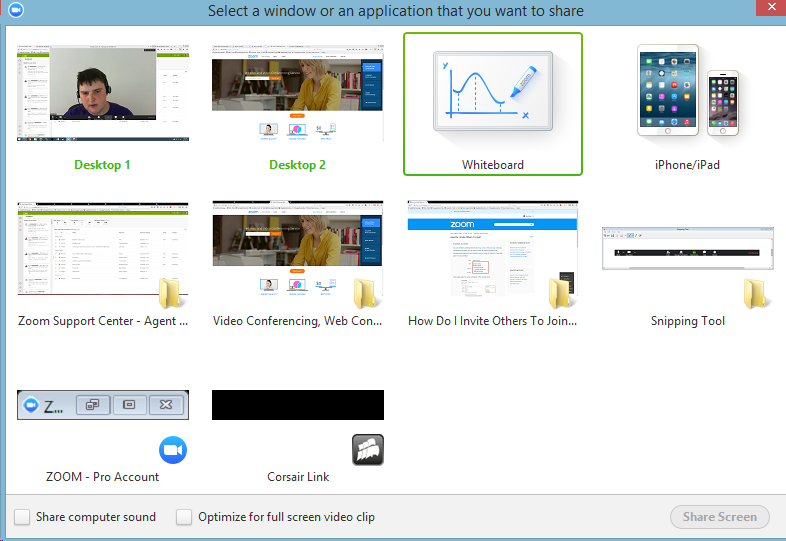 To start "Screen Sharing" select "Share Screen" button located in your meeting tool bar. After selecting "Share Screen" located in your in-meeting tool bar. You can choose to share your "Desktop" or an "individual application/window". Note: You can also select to share "computer audio" when sharing a video clip such as YouTube or a locally stored video clip. Annotate: Use screen share tools for drawing, pointer, etc ..
*Save: This feature allows you to instantly save all annotations on the screen as a screenshot. 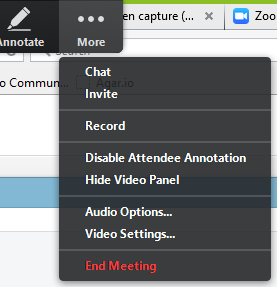 The screenshot is saved to default meeting folder along with the recording of the meeting. If you are using a dual monitor set-up. You can turn on the "dual screen for dual monitor feature" to see the screen sharing on one monitor and participants on the second. For more information, please see here! Note: If the Host of the meeting "Locks Annotation," Attendees will not be able to use the feature.